Thursday 27 October 2016 saw the Provincial Follow Up Meeting, where the Provincial Grand Master had the opportunity to congratulate and thank recipients of Provincial honours and MBF awards, who had not been able to attend the main Provincial Meeting. 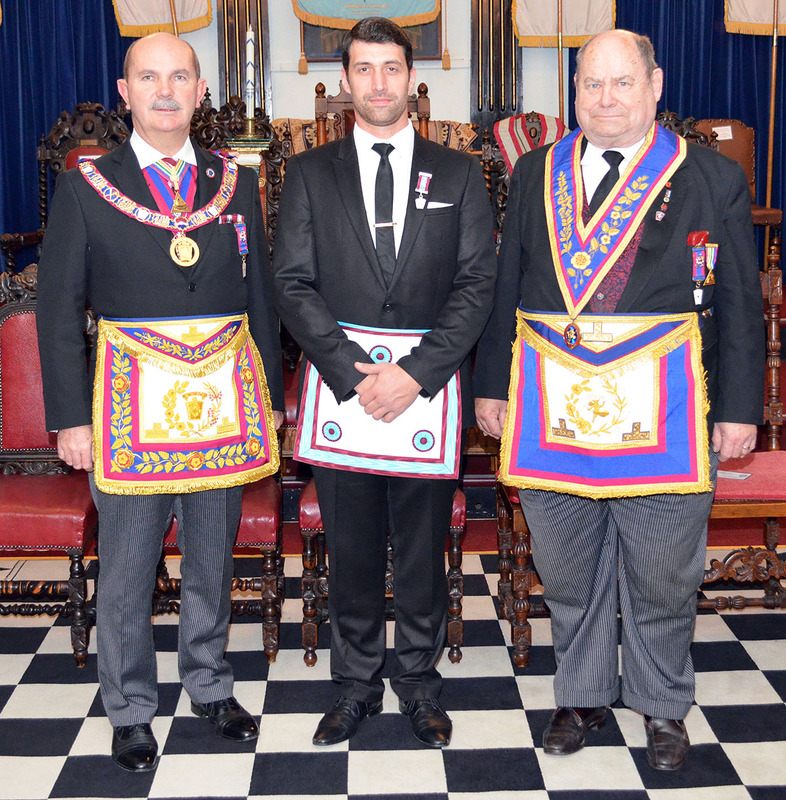 The Lodge hosting the event this year was St Michael’s Mark Lodge 1089. As if this activity were not enough, the many brethren assembled witnessed the Advancement of Bro Lee Croucher. The ceremony was carried out by an old hand at the game, WBro Brian Meeres, who Advanced Bro Lee in an excellent and inimitable manner. At a packed Festive Board after the meeting, the Lodge presented the Provincial Grand Master with a donation of £1,200 towards the 2020 Festival. An excellent and generous ending to a most enjoyable day.